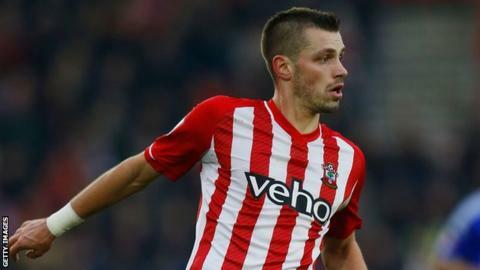 Southampton midfielder Morgan Schneiderlin will miss the final four games of the Premier League season with a knee injury. Schneiderlin, 25, was hurt in the 2-2 draw with Tottenham on Saturday. "It's not good, he will be out for the rest of the season," Saints manager Ronald Koeman told BBC Radio Solent. "It's ligament on his left knee and he is out for three, four, five weeks." He will now miss the games against Sunderland, Leicester, Aston Villa and Manchester City. Southampton are seventh in the Premier League and need a top-six finish to secure European football next season. They are just a point behind Liverpool and Tottenham ahead of them. "You like to have everyone available and Morgan is a key player for the team, an important one in the midfielder position," added Koeman. "Injuries are part of football and we have Victor Wanyama back from his suspension."